When it comes to jewelry, the accessory that appeals to the most is a ring and we all know that when it comes to rings, the ultimate in style, sophistication and elegance is a diamond ring. 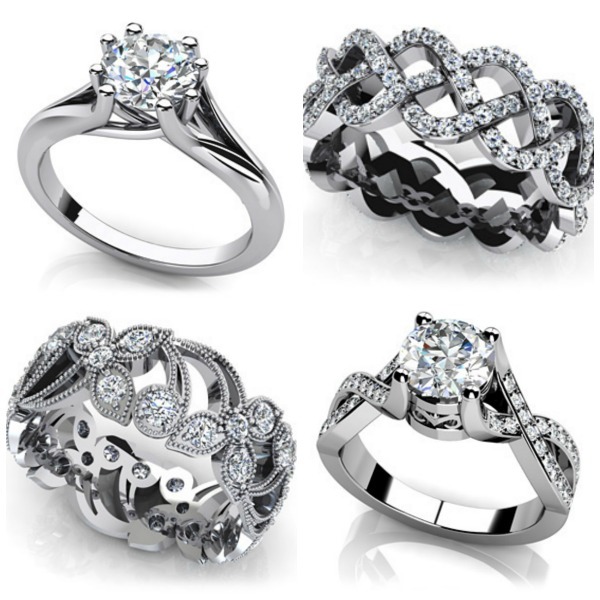 Speaking of diamond rings, Anjolee is a great site I discovered recently which makes exquisite high-end diamond jewelry. Besides rings, they also have an extensive collection of bridal jewelry, diamond bracelets, earrings, necklaces and pendants. I have no plans of getting married anytime in the next few years, but I I wouldn't mind getting myself a diamond wedding band because their designs are so beautiful, some of which I've featured in this post. An amazing feature about their site is that all their designs are completely customizable. I enjoyed playing around with different styles as you can pick an item, choose the metal type, see how the price changes, and adjust it as needed. You can also decide the gemstones, carat size of the stones, item length, and stone quality. This helps you find something that fits your budget. Their products are genuine and each purchase comes with a certificate of authenticity. The site also has a very informative education center which helps you learn everything you ever wanted to know about about fine jewelry from the karat of the gold you are buying to how to care for your piece of jewelry after you buy it. If you're looking for a gift for a significant other, Anjolee has a lot of amazing options and also offers a great return 30 day, full refund policy where you will receive a full refund on all orders if you are unsatisfied with the product. I would definitely recommend this website to others as it is convenient and their designs are truly amazing. Do you have a thing for diamond rings too? Which celebrity ring do you like the best? All of this bling bling I want one. You can never go wrong with great jewellery. This sounds amazing! Soy super fan de los anillos. diamonds are super cute and they never get old year after year. Beautiful rings! I love them all! I love the one Victoria is wearing! Those rings are beautiful. Love Kate Middleton's ring. Wish you an amazing day babe! Kim's ring is my fav! Wow! I love the diamonds so much. Great picks! Wow! Gorgeous rings!! Love it so much!!!! My favourite is Kate! Stunning sparkles anyways! lovely blog and amazing post! you are a fashion insider for sure! I would love to keep it touch with you! you are so inspirational! Yeah I do love Kate Middleton's ring too but I also love Beyonce's ring too which is kinda out there but it's really big and lovely haha. Their rings are gorgeous and so is the celeb inspiration! Every girl loves a diamond. Victoria Beckham's is my favorite. i want one so badly!!!! Fabulous post June, these are some stunning pieces of bling! Thanks for your visit, Happy Weekend! Wow these diamond rings are soo gorgeous and some of them are HUGE! I don't think I'll ever be wealthy enough for something like that. But a part of me wants a simple engagement ring with a little band and a tiny diamond. Nothing to extravagant and I feel like a huge rock on my finger wouldn't be too functional? I don't wear any rings - except maybe once or twice a year. I wouldn't want to wear diamond rings as I would probably lose them. 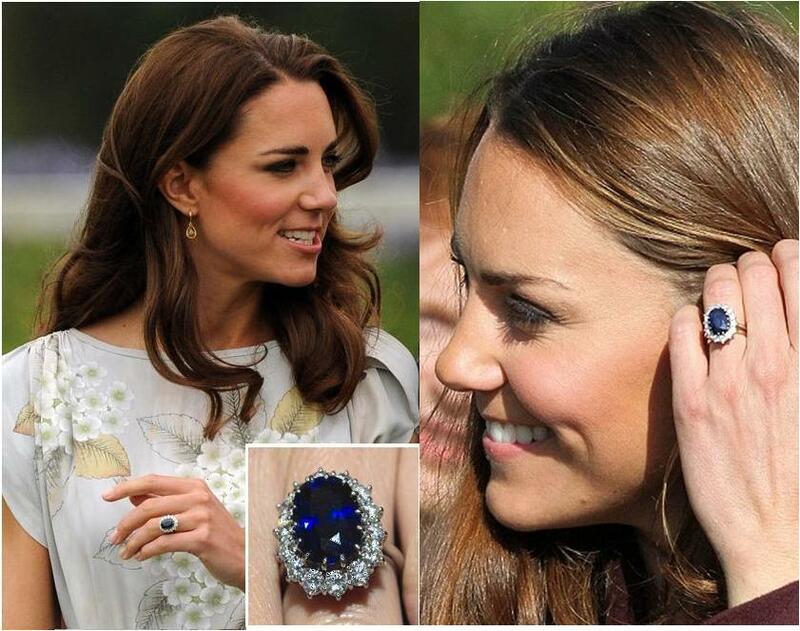 I like Kate's ring best! wowzers these rings are stunning! As much as i hate to like it, i really like Kate Middleton's ring. Awesome collection !!! I love your Amazing designs.. Thanks for sharing….. Yes, that’s true!! Diamond rings is the best, beauty of diamonds cannot be compared with others, it’s unique in itself.